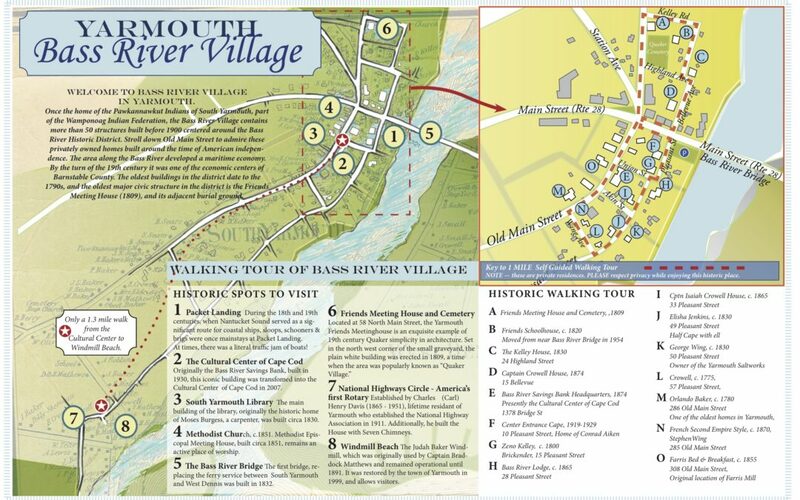 Once the home of the Pawkannawkut Indians of South Yarmouth, part of the Wamponoag Indian Federation, the Bass River Village contains more than 50 structures built before 1900 centered around the Bass River Historic District. Stroll down Old Main Street to admire these privately owned homes built around the time of American independence. The area along the Bass River developed a maritime economy. By the turn of the 19th century it was one of the economic centers of Barnstable County. The oldest buildings in the district date to the 1790s, and the oldest major civic structure in the district is the Friends Meeting House (1809), and its adjacent burial ground.